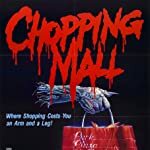 Which of the following horror movie posters is the most misleading as to what the film is actually about? 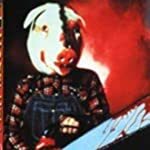 What it looks like: A slasher movie where a killer wearing a pig mask terrorizes a motel. 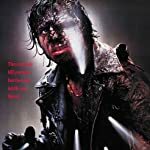 What it actually is: A movie where people are planted in the ground and fertilized by people who own a motel, then butchered and sold as "animal" meat. The inside of the motel is rarely shown. 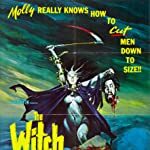 What it looks like: A movie about a witch who kills men by beheading them, at least some of which takes place over open waters. What it actually is: A movie about a non-witch woman who kills men on land (no beheading involved). 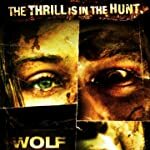 What it looks like: A werewolf movie. What it actually is: A vampire movie. 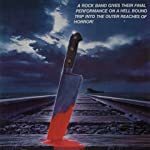 What it actually is: A slasher movie. What it looks like: A movie in which a woman has just "cut, chopped, broken, and burned five men beyond recognition" (quote directly from text on poster). What it actually is: A movie in which a woman has just killed four men, whom would still be very easy to recognize. 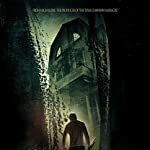 What it looks like: A movie where an entire village is in danger because of a crazed serial killer. What it actually is: A movie where one family is in danger because of their house being haunted. What it actually is: A movie about monsters who wreak havoc at an amusement park. 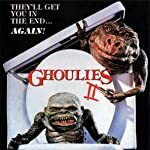 There was only a 2-second scene involving a toilet, and it was in the first movie of the series. What it actually is: An anthology film where people telling stories on a train is used as a segway into three different vignettes. Only about 10 minutes on a train. No knives.